When Jason DeParle moved in with Tita Comodas and her family in the Manila slums thirty years ago, he didn't expect to make lifelong friends. Nor did he expect to spend decades reporting on Tita, her husband, siblings, and children, as they came to embody the stunning rise of global migration. 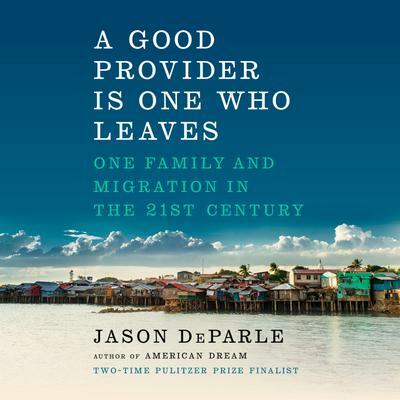 In his new book, DeParle paints an intimate portrait of an unforgettable family across three generations that dramatizes how the international movement of labor has reordered economics, politics, and culture across the world. At the heart of the story is Rosalie, Tita's middle child, who escapes poverty by becoming a nurse, and lands jobs in Jeddah, Abu Dhabi and, finally, Texas--joining the record forty-four million immigrants in the United States. Migration touches every aspect of global life. It pumps billions in remittances into poor villages, fuels Western populism, powers Silicon Valley, sustains American health care, and brings one hundred languages to the Des Moines public schools. One in four children in the United States is an immigrant or the child of one. With no issue in American life so polarizing, DeParle expertly weaves between the personal and panoramic perspectives. Reunited with their children after years apart, Rosalie and her husband struggle to be parents, as their children try to find their place in a place they don't know. Ordinary and extraordinary at once, their journey is a twenty-first-century classic, rendered in gripping detail.